The 1989 gold proof sovereign features designs by Bernard Sindall, both of which are modern adaptations of the original sovereign design of 1489. The reverse is a Shield of the Royal Arms ensigned by an open Royal Crown, the whole superimposed upon a double crown and the circumscription ANNIVERSARY OF THE GOLD SOVEREIGN 1489-1989. The obverse shows H M Queen Elizabeth II seated as at her coronation, within the circumscription ELIZABETH II DEI GRA REG FID DEF, which may be translated as Elizabeth II – by the grace of God, Queen, defender of the faith. The sovereign was issued by the Royal Mint in two different boxes. The first batch of sovereigns were housed in a dark red box (Official case for proof sovereigns from 1983 – 1988). Subsequent batches were issued in larger maroon boxes. These were to be the official Royal Mint sovereign boxes from 1989 – 1999. 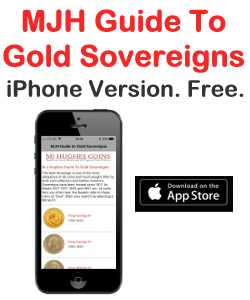 It is an ongoing misconception that the 1989 sovereign was only issued in the dark red boxes. According to the Certificate of Authenticity (COA), a maximum of 12,500 pieces were issued. 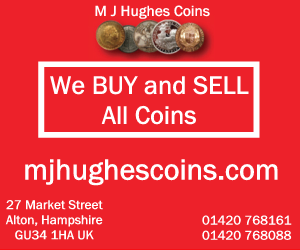 However, according to ‘Coins of England & The United Kingdom by Spink’, only 10,535 were actually issued by the Royal Mint. It is widely believed many were sold to the US market. It maybe worth pointing out that 1989 sovereigns still with their COA command a much higher price compared to ones without. For example, I am currently paying 20% more for a 1989 sovereign in perfect condition, boxed with COA, compared to one that is just encapsulated.